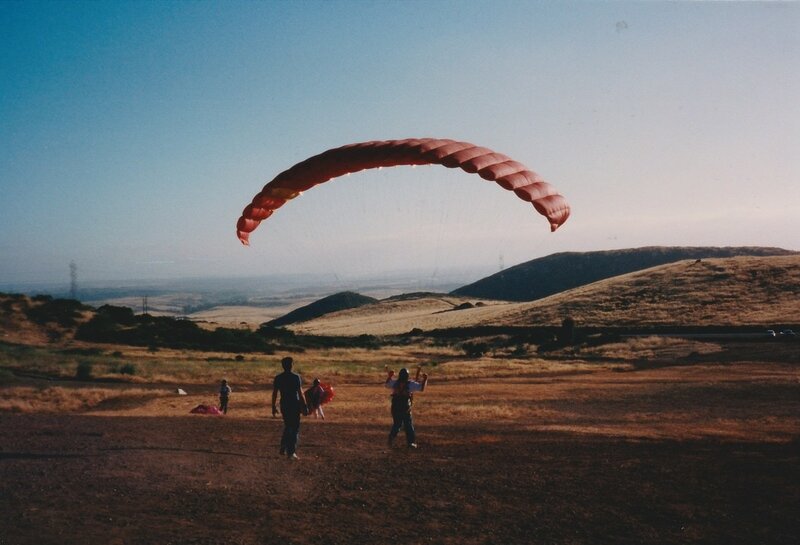 ​Silent, low-speed gliders have enjoyed soaring flight on the west facing slopes of what is now Black Mountain Open Space Park Glider Port since the 1930’s. This unique flying site is one of the most consistently flyable sites in the United States and is visited by pilots from around the world. 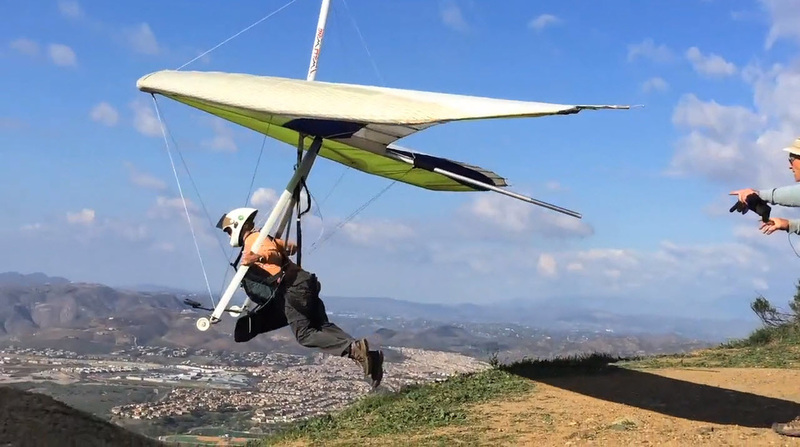 Residents consider the sight of silently soaring hang gliders and paragliders a positive part of the experience of living in Rancho Penasquitos and the surrounding communities. San Diego has long played an important role in the development of aviation in the United States. Many are not aware, of the importance of San Diego’s contribution to American gliding and soaring. 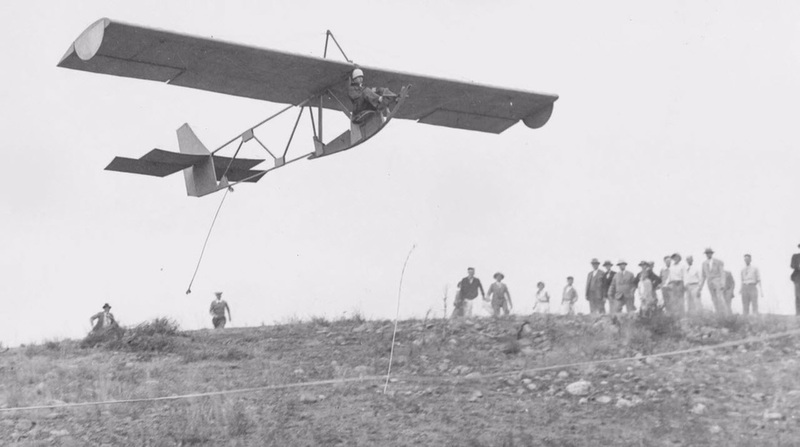 The high-tech, computer designed gliders that fly Black Mountain today owe much to San Diego’s aviation pioneers. 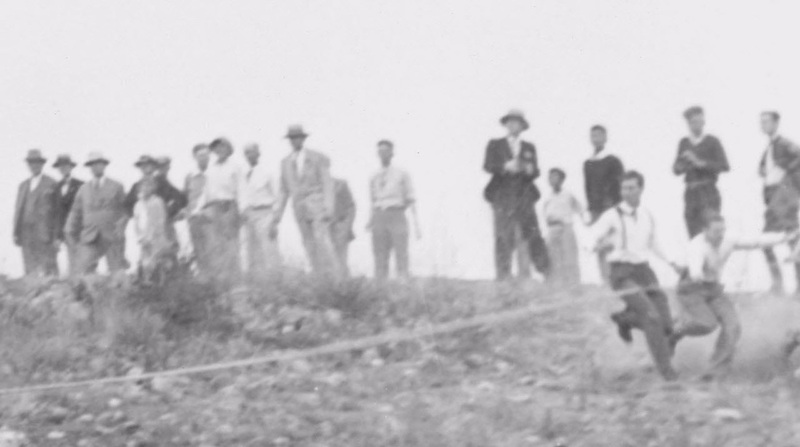 This history and tradition of motor-less free flight is worth preserving. Unfortunately many San Diego area flying sites have been lost in recent years, due primarily, to the encroachment of development (including the bluffs of Del Mar, Cowles Mountain, Mt. Helix, Crest, Sorrento Valley, and the original Palomar Mountain site). 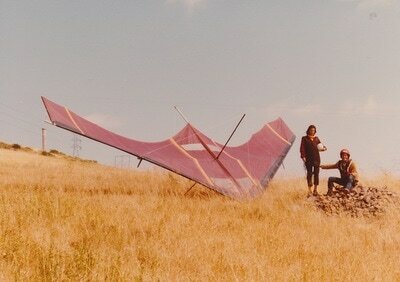 The hang glider is the earliest known airplane flown in the United States. John J. Montgomery, for whom Montgomery Field in Kearny Mesa is named, first flew his Gull Glider in 1883 from Otay Mesa. 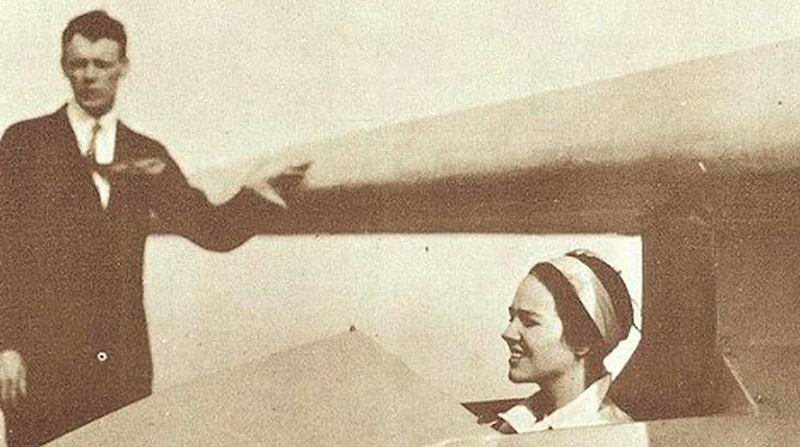 The bird-like aircraft shared the same unique control method as modern hang gliders known as pilot weight-shift. 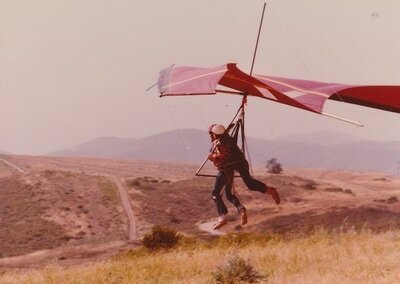 The hang glider pilot shifts his or her weight laterally to control direction, and moves fore and aft to control airspeed. In the 1920’s wide media interest was generated as glider records for duration were set and then broken again and again by various San Diego pilot-inventors. 1930 was a special year for soaring in San Diego. Harry Bowlus, who had for years displayed a passion for designing and flying gliders, set several duration records within the space of a few days. He then proceeded to lure Charles Lindburg and then his wife Anne Morrow Lindburg (who became the first woman to earn a soaring license) to the delights of un-powered soaring flight. The participation of this famous couple fired the imagination of local San Diegans. Several glider clubs sprang up, including the first all female group led by 20 year old aviatrix Peaches Wallace. 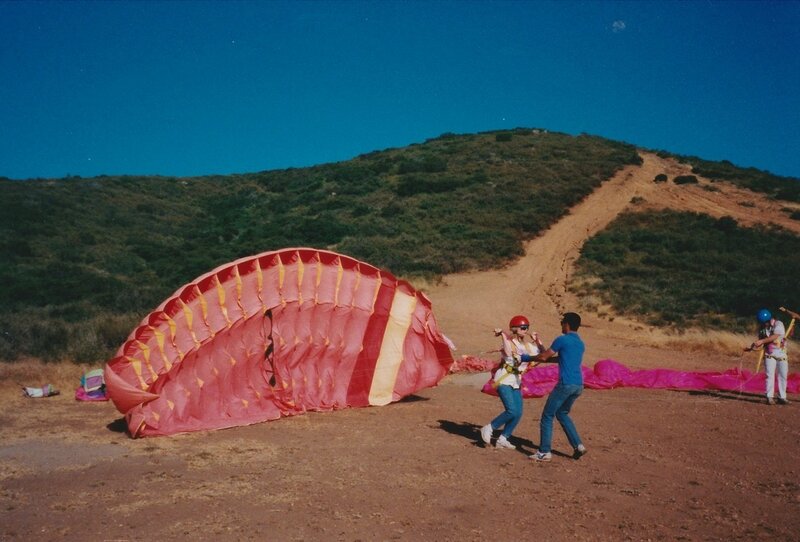 Two San Diego Senior High School students, Richard H. Benbough and Vernon M. Brown, members of the largest registered glider club in the United States, the San Diego based Bowlus Glider Club, chose the hillside of Black Mountain to fly their licensed homebuilt primary glider. In the 1940s, Black Mountain was popular as a tow launch site because the gliders could then use the hill to remain aloft and gain altitude. 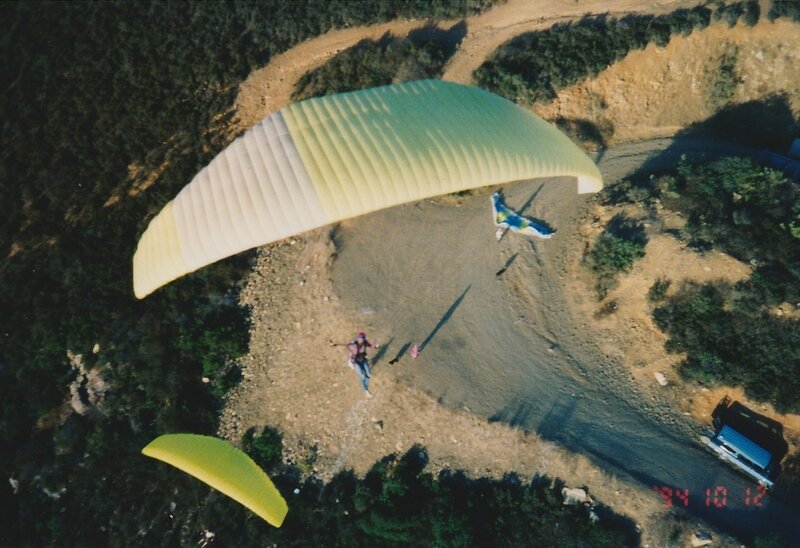 The Rancho Penasquitos area came back into regular use as a soaring site when a renaissance in hang gliding, spurred by the invention of the Rogallo wing, returned to San Diego in the late 1960’s. The sparsely developed slopes of Black Mountain were quite popular with the numerous local pilots who formed a club in 1973 known as the Ultralight Flyers Organization (UFO). This club continues to thrive under the name the San Diego Hang Gliding and Paragliding Association (SDHGPA). One of the founding members of this club was Waldo Waterman. In 1909, at the age of 15, he built and flew his first glider. He was the first pilot to fly a glider within the city limits of San Diego. 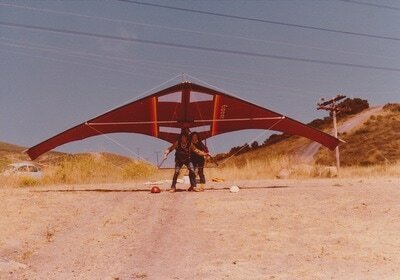 Waterman continued to design and build gliders well into the 1970’s. 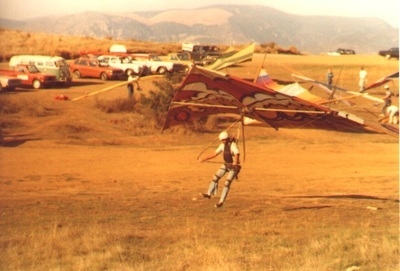 A picture of his Waterman/ Fronius Biplane hang glider was featured on the cover of the February 1974 “Flier”. When another taller Black Mountain, north of Ramona, came into use as a soaring site, the UFO began to refer to this site, the smaller of the two, as Little Black, as it’s still affectionately known among local pilots today. 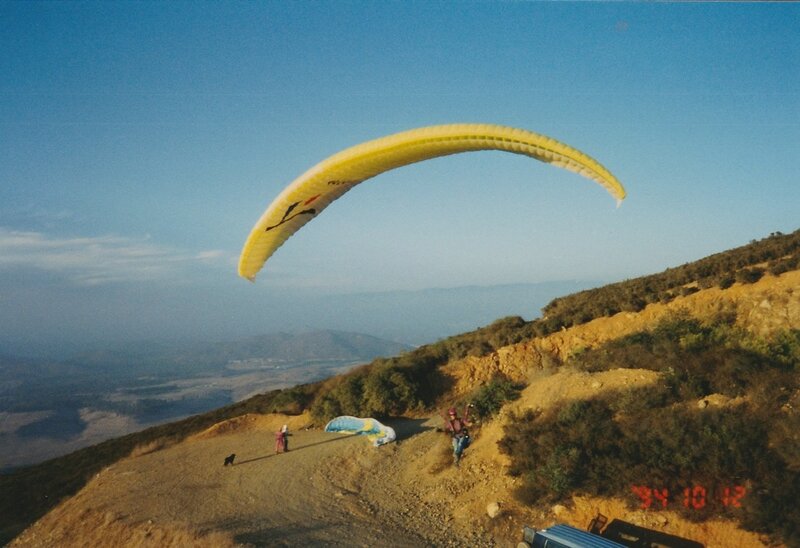 Little Black has had a third resurgence of glider popularity since paragliders came to San Diego in 1989. 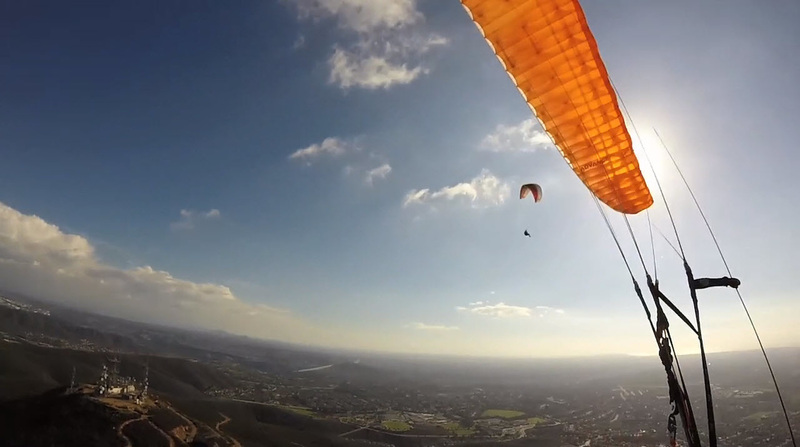 Little Black was used to train the first paragliding instructors in San Diego (Ken Baier, Fred Lawley, and Lee Kaiser) in April of that year. Paragliders look like parachutes but have a wing shape air foil and are used like hang gliders for soaring. Their portability allows them to be carried in a backpack enabling the pilot to hike to the top, layout, launch and then soar for as long as Mother Nature provides lifting air. This convenience coupled with the beautiful vistas to the west from Black Mountain make Little Black a popular destination for many of your neighbors who enjoy the sunset from their gently swaying seats in the sky.